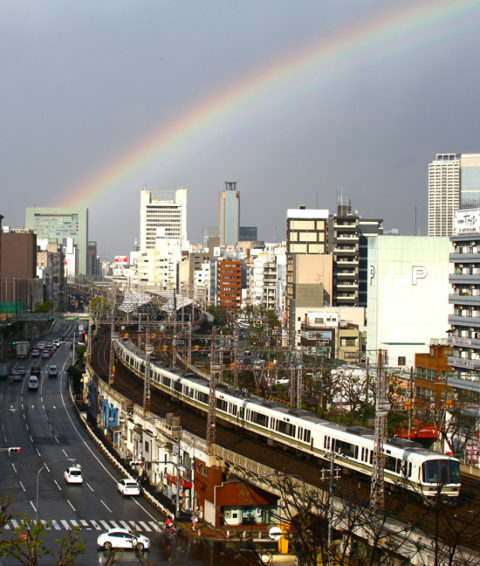 When a sudden sunshine after a sudden rain, we gaze at the sky towards the railway, there is a rainbow coming up. The right end of it seems reached to the Port island. Photo: The rainbow from our office towards JR.